This month, we’ve delivered four Touchpoints updates we think Enterprise users on Gmail will like. We also just rolled out a new Salesforce feature for Enterprise Outlook users on O365. 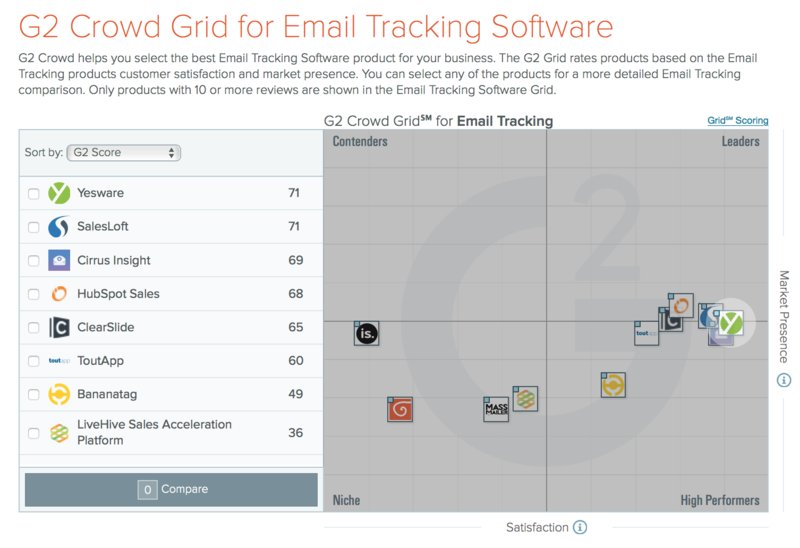 But before we get there, we want to take a minute to thank our customers who have rated us on G2Crowd. Clone a campaign — Just as it sounds. 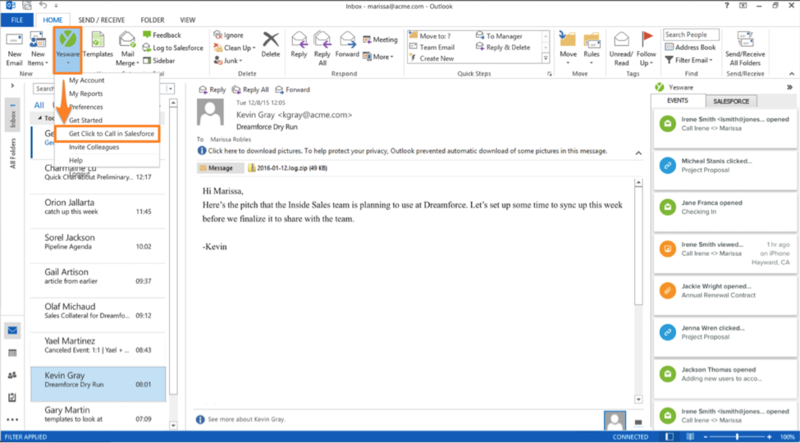 Enterprise users looking to recreate campaigns no longer have to paste email touches, sales call scripts, and custom tasks. You can now duplicate a pre-existing campaign’s touches, descriptions, and delay parameters in one quick click. Once you click “Duplicate,” you can give your new campaign its own name and edit pre-filled touches as you like. 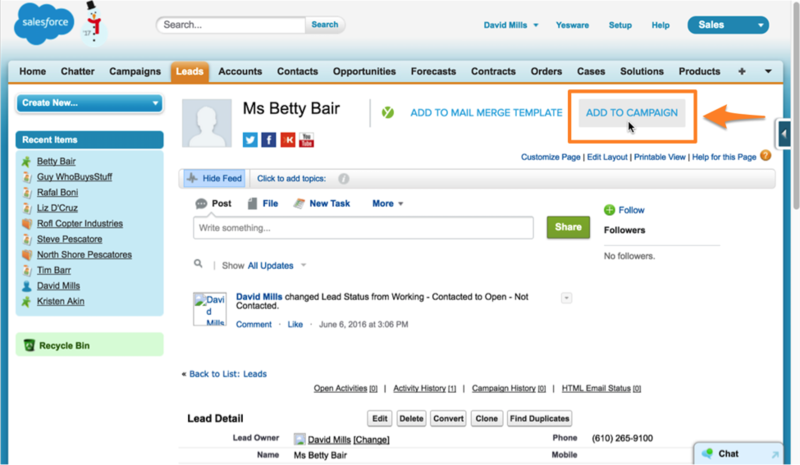 Add a single prospect to a campaign from CRM — Touchpoints users can now add an individual to an existing campaign from both Contact and Lead detail pages in Salesforce. Users will now see an “Add to Campaign” button on each of these page types. A note: If you do choose to change the subject line for subsequent email touches, these emails won’t thread together with previous campaign emails. Automated emails now send according to your local time — For newly created Touchpoints campaigns, automated email touches will now send according to your time zone instead of defaulting to ET. Users can also edit pre-existing campaigns to adjust the scheduling for automated emails to their own time zone. What this means: if you schedule Touch 1 as an automated email to send at 8:30AM, and set a Touch 2 is set to delay send for 3 days, both touches will send at 8:30AM in your own time zone. If you’re team works in SFDC for cold calling, you’re in luck. Yesware for Outlook (O365) users on our Enterprise plan can now dial numbers right from a contact’s details in Salesforce, in addition to the Salesforce sidebar in their inbox. What this means: rather than manually dialing a number from Salesforce into your phone, you simply click the person’s phone number. From there, we’ll call you, establish the connection for you, and sync your notes. 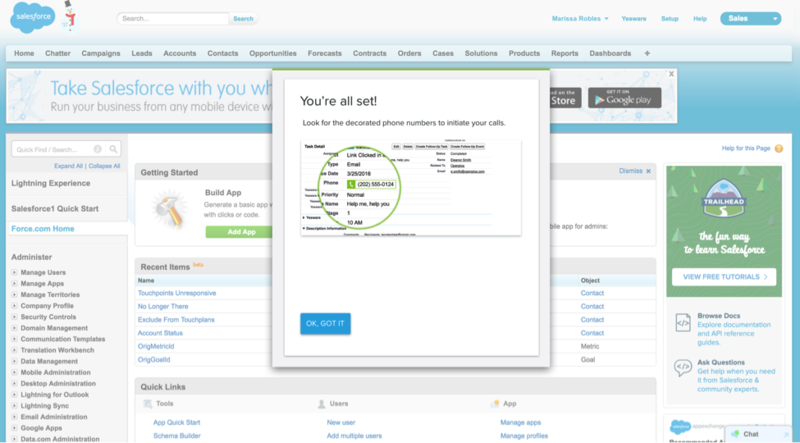 Just click “Ok, got it,” and phone numbers in Salesforce will now have a green call button next to them. 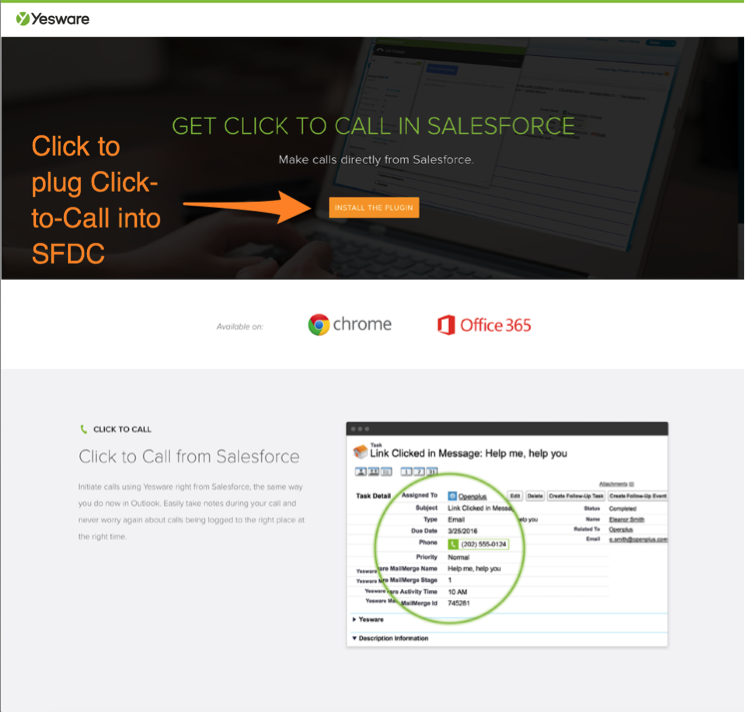 From here on out, you start clicking numbers right in Salesforce, and we’ll dial for you. 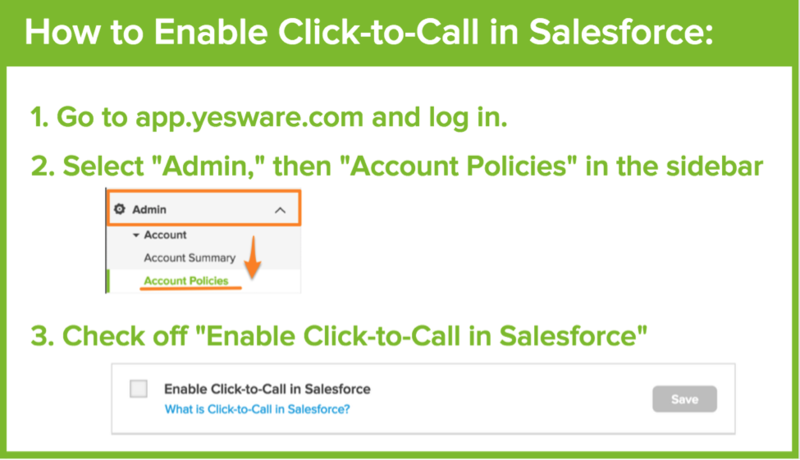 Note: If you’re a Yesware for Outlook Enterprise user on O365, and you are not seeing the Salesforce option in Outlook, you have your account policy turned to OFF. To get it ON, your Account Manager needs to go into the app site. Want more information? Here’s a video with a more detailed step-by-step guide.